I have a difficult relationship with a lot of modern art. Much of the time I simply don’t get it and I don’t know how to approach a work when it’s not my thing. On the other hand, sometimes seeing a new work for the first time can be an incredibly powerful moment. I remember when I first saw John McCracken’s Sculptures at the Botanic Gardens in Edinburgh I was struck by the power of his simple black monoliths. They filled a room, reflected it and also created three-dimensional holes in the space. 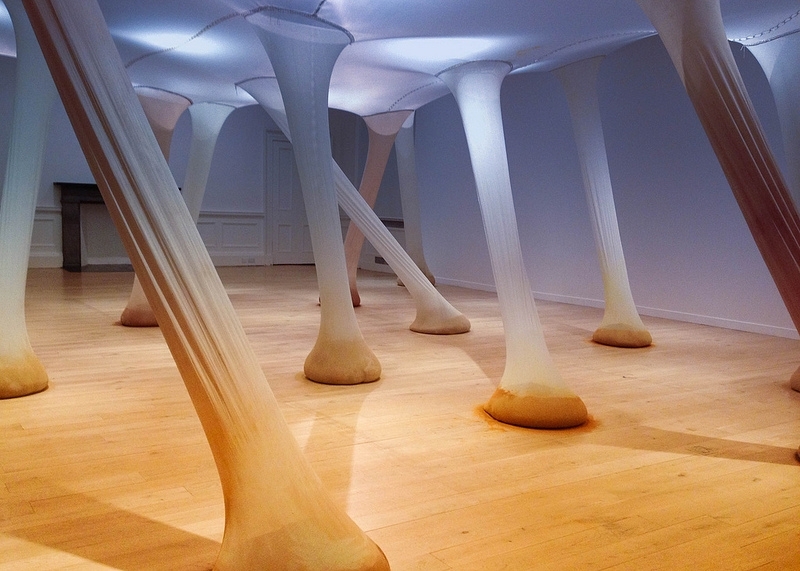 Today I had a wonderful experience at the Scottish National Gallery of Modern Art, walking into a room filled with an Ernesto Neto sculpture. Like suddenly walking into an enchanted forest; it was impossible to avoid a feeling of child-like wonder as my senses were assaulted by the alien landscape filled with textures, light and smells (the stretchy white material is filled with aromatic spices) that can be explored. Maybe the answer to my question on how to interpet modern art is that it all depends on your reaction to it. My general puzzlement is just as valid as the occasional high points like today.